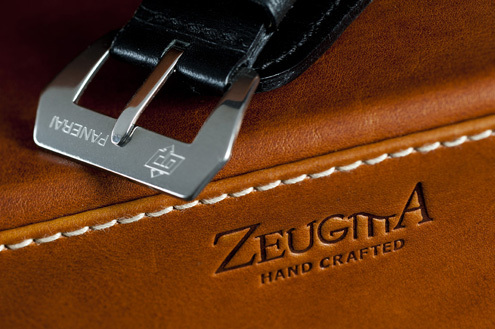 This week I received my new wrist watch case from Zeugma Straps. This is definitely an exceptional piece of craftsmanship, most likely rivaled by none. Nuri (Zeugma Straps) tells me that his company made 120 of these cases and that they worked 10 months to complete the task. 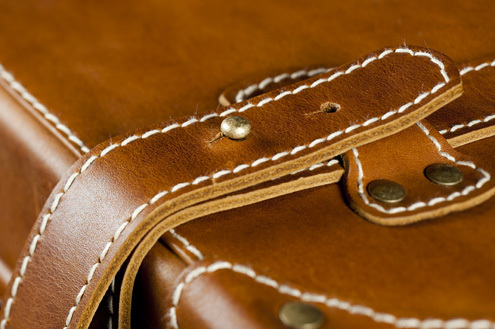 The finest thick and sturdy leather was used to create a unique product of the highest quality. 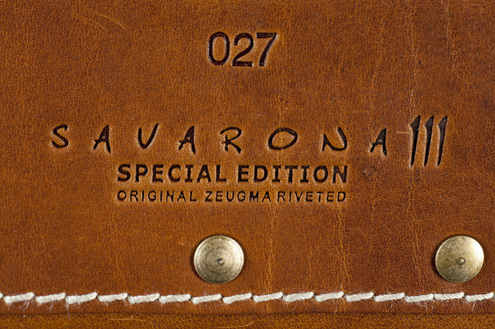 Every case is completely hand crafted and uniquely numbered on the bottom side of the case (see photo below). No more than the current 120 cases will be produced. The case is closed by two large strap loops as shown below. 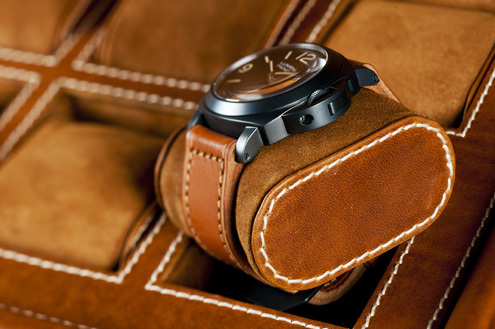 The case safely holds up to eight large wristwatches. The inside of the lid is made from suede and is heavily padded. 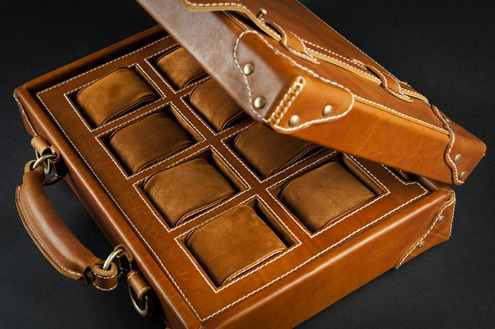 The board that holds the watch cushions can be taken out of the case eg to store the board in your safe or you could even use the case as a regular briefcase. 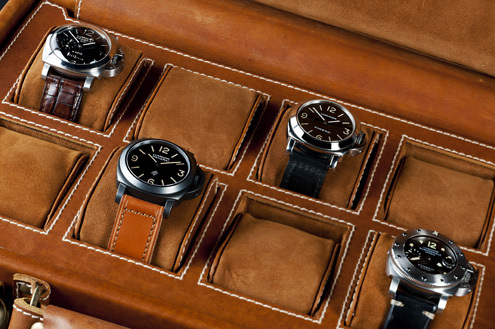 If you're interested in the watches shown - from left to right Panerai PAM233, PAM360, PAM2A, PAM243. A few more photos to show the excellent quality and fine craftsmanship. You can click the photos for a larger version. 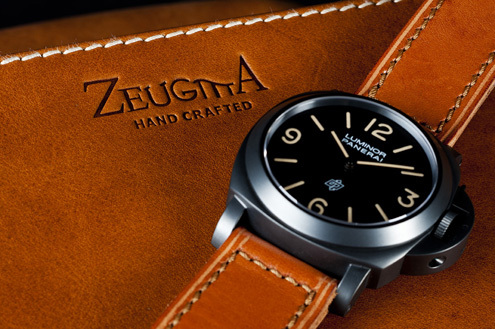 If you are looking for a high quality hand made watch case then stop looking. You won't find anything better than this. If you want to buy one of these cases you can contact Nuri by sending an e-mail to info@zeugmastraps.com. Mind you, quality comes at a price - the cases sell for 590 USD (paypal) or 540 USD if you pay with Western Union. 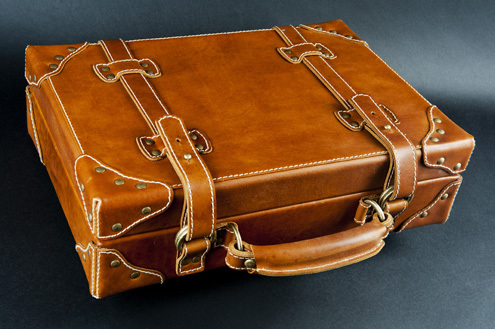 Considering that these cases are hand made, limited and that the finest quality leather has been used - it's a bargain. The prices include worldwide shipping with DHL. All photos © 2011 M.Wilmsen - do not use my photos without permission. Beauty! I'm crazy about leather anything, especially with such good make! Do they ship internationally?? Hi, those beautiful pictures do look as though they do go some way toward doing that beautiful case justice! Quick question, are only the watch cushions removable or is the whole board displaying the watches removable as well (i.e. 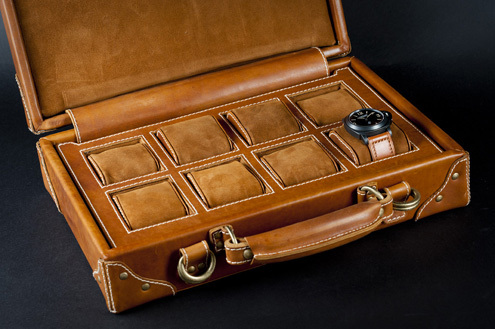 so that the watch case can also be used like a regular briefcase as well)? Actually, you can take the board out of the case. I just edited the text of my post to reflect this, because it was a good question! Thanks. Just saw one of those beauties at P.day and it sold for 1600$ at the auction! Really? Wow! Great for the auction! Can someone please list the outside dimensions of the case?